The lifeboat service in the United Kingdom and Ireland is operated by the Royal National Lifeboat Institution (RNLI), which was founded in 1824 and today maintains a network of 237 lifeboat stations around the coasts. The charity has a long and proud history of saving lives at sea based on a voluntary ethos, and its lifeboats and crews have saved thousands of lives since its foundation. 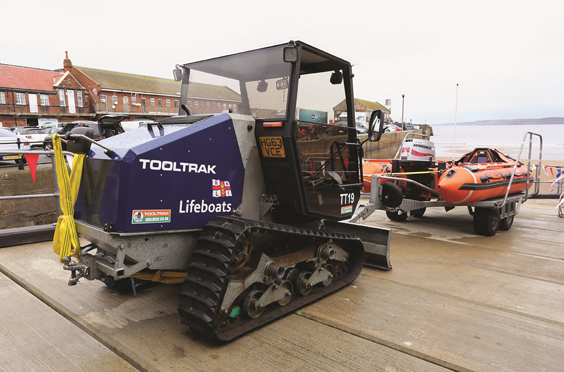 Today’s lifeboat stations have highly trained volunteer crews who operate fast state-of-the-art all-weather and inshore lifeboats, which provide search and rescue cover up to 100 nautical miles out to sea, and reach ninety per cent of casualties within thirty minutes. 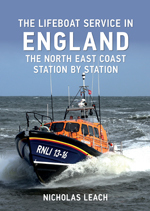 In Nicholas Leach’s The Lifeboat Service in England he looks at the history and current operations of the lifeboat service along the north-east coast of England, from Berwick at the Scottish border down to Skegness on the Wash. 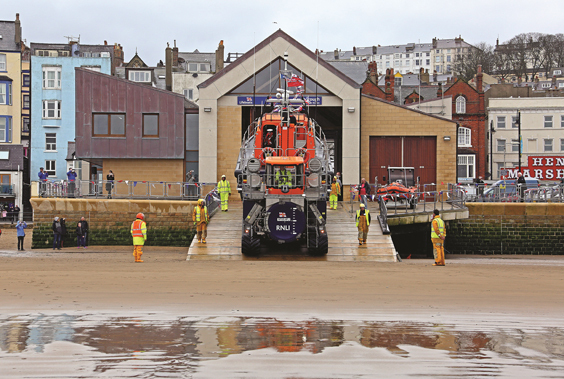 In this extract, he looks at the historic timeline of the Scarborough Lifeboat, and adds sone salient facts about the service. 1801: A lifeboat was provided for Scarborough through the efforts of historian Thomas Hinderwell; he headed a local committee that raised funds through an appeal launched in December 1800. By August 1801 £212 1s 6d had been collected and local boatbuilder Charles Smith was commissioned to build a lifeboat to Henry Greathead’s design, with the boat being completed in October 1801; a boathouse was built near Mill Beck, beneath the present Spa Bridge. 1821: The lifeboat house was moved to a better site, near the West Pier, on the sands adjoining the Coastguard watch house, close to the harbour. 1822 A new lifeboat was built locally by Skelton; it measured 28ft by 9ft, and the funding included £50 from Lloyd’s. 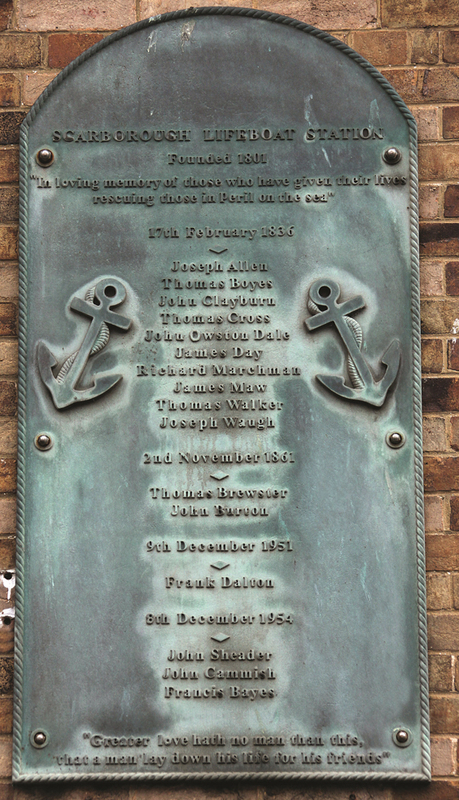 1836: The lifeboat of 1822 capsized, with the loss of ten of her crew, on 17 February on service to the sloop John and Agnes; the lifeboat was recovered, undamaged, and remained in service. 1861 At the request of the local committee, the station was taken over by the RNLI in April, and in September a new 32ft ten-oared self-righter was provided at a cost of £178 and a new launching carriage supplied; the lifeboat house was also renovated. This lifeboat, named Amelia, was damaged beyond repair on her first service launch, on 2 November, when was smashed against the Spa Wall while trying to rescue the crew of the schooner Coupland, which was wrecked in the South Bay, with five men losing their lives in the incident, including three lifeboat men. 1862: The replacement for Amelia, a 33ft self-righter named Mary, was capsized on exercise on 14 April, but none of the fourteen crew members were lost. 1887 The first of three lifeboats named Queensbury (ON.111) to serve the station arrived in July; this boat was a 37ft twelve-oared standard self-righter. 1914: A new lifeboat house was built on the Promenade; this house was used until 1940, and then became a store and a tractor house; it has since been heavily converted into an amusement arcade, opposite the boathouse. 1924: The station’s first motor lifeboat, the 35ft self-righter Herbert Joy (ON.683), arrived on 28 May. 1928 Centenary Vellum awarded, being formally presented at a ceremony in the Town Hall on 31 August. 1939: A new slipway was built onto the beach to make launching easier. 1940 A new lifeboat house was built at the head of this slipway, on the Promenade, close to the harbour. 1947 A Clayton launching tractor, number T5, was supplied to the station; it was replaced in 1949 by a more powerful vehicle, number T25. 1951: A 150th anniversary vellum was awarded to the station; it was formally presented on 15 June at the end of the naming ceremony of the new 35ft 6in self-righter E.C.J.R. (ON.879). 1954 E.C.J.R. (ON.879) capsized on service on 8 December with the loss of three of her crew of eight. 1958 The first of the new 37ft by 11ft 6in Oakley self-righting type lifeboats, J.G. Graves of Sheffield (ON.942), was sent to station in October. 1966: A D class inflatable ILB, D-65, was sent to the station in April; the ILB was launched by trolley across the beach. 1987 A new tractor house was added to one side of the boathouse. 1991: The lifeboat house was adapted for the 12m Mersey class lifeboat Fanny Victoria Wilkinson and Frank Stubbs (ON.1175); the main door was heightened, a new fuel tank was installed, and a side extension was constructed to provide a souvenir outlet, store, drying room and workshop. 1999 Relief D class inflatable ILB D-488 capsized on exercise on 9 January. 2001 Bicentenary Vellum awarded to mark 200 years of service. 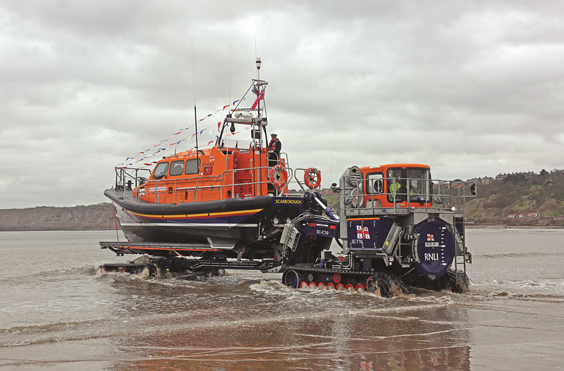 2015-16 A new lifeboat house and slipway were built on the site of the previous house, which was demolished; the new boathouse, designed by York architects Brierley Groom, became operational in November 2016, with the arrival of the Shannon class lifeboat. Reasons to be Proud to Come from Yorkshire!